The nationalist Irina Farion, an ex-MP from the Svoboda (Freedom) fraction, urged on the air of the Opposite View Live talk show to close social lifts for Russian-speaking Ukrainians and leave them without jobs and education, Vzglyad Business Newspaper reported on April 30. “Russian-speaking Ukrainians are Ukraine’s greatest problem. They are defectors, traitors, renegades. Who prevents you today from learning Ukrainian? Your own stupidity? Your primitivism? Your conformism? … Russian-speaking Ukrainians are not Ukrainians, they are hybrids,” Farion said. 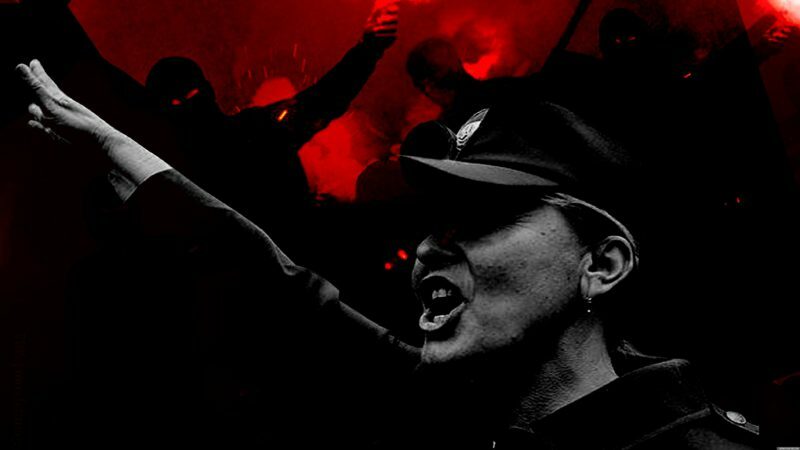 According to the ex-MP, the reason for Crimea’s leaving Ukraine and the continued conflict in Donbass was neither the pro-Bandera regime’s demand to glorify the accomplice of German fascism as a national hero, nor the Bandera supporters’ threat to deprive Ukrainian nationals of the possibility to think and speak Russian, but it was a magic capability of Russian-speaking people to attract war. “They attracted the war here! Where do we have war today? In places where Russian-speaking people lived. These are Lugansk and Donetsk regions, and Crimea. One third of Donbass is occupied. Crimea is completely annexed. Why? They had the Russian church, Russian culture and Russian language there,” Farion said. “They are mentally deficient, those Russian-speaking people!” she added. The authors of the collective monograph Ukrainism: Who constructed it and why demonstrated that a number of historical actors, including Poland, Germany, the Habsburg’s Austro-Hungarian Empire, and the Catholic Church, contributed to the creation of an anti-Russian Ukraine. This entry was posted in News from Ukraine and tagged Informational-Psychological War, Ukraine, ukrainian nationalism. Bookmark the permalink.